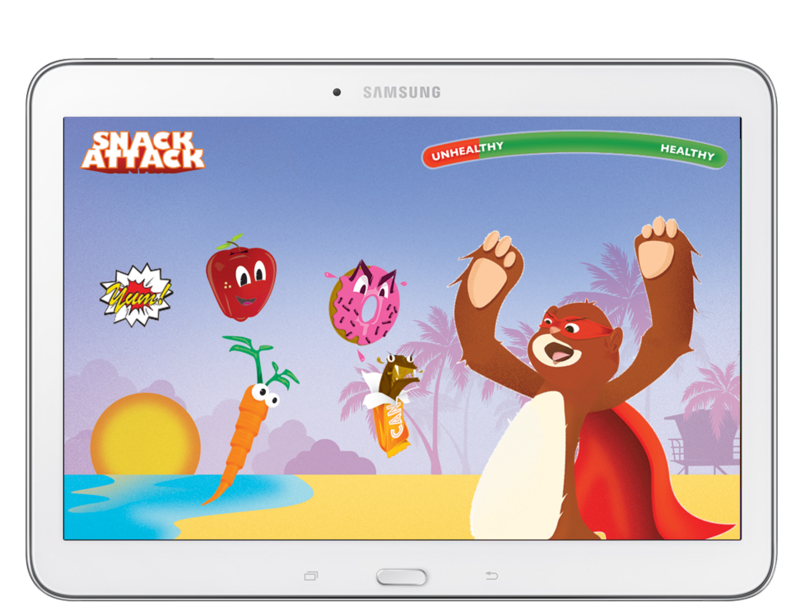 healthy choices in a fun way. 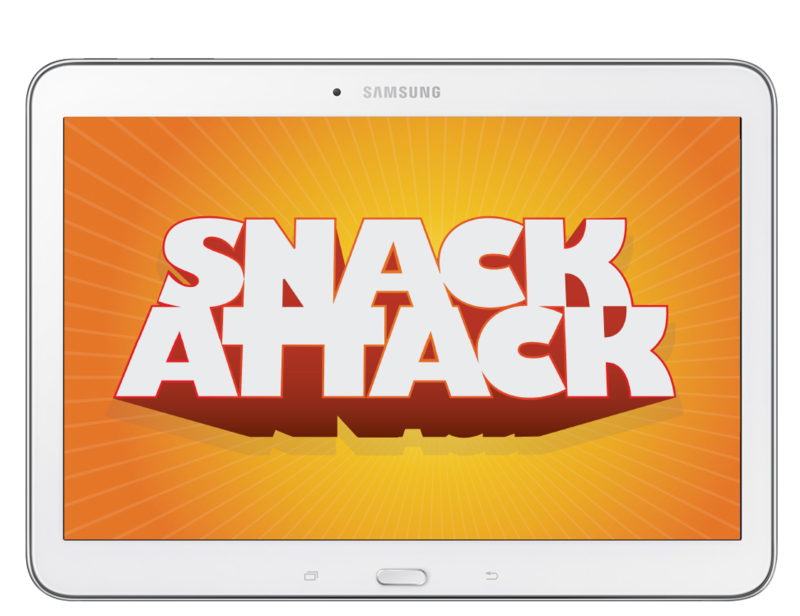 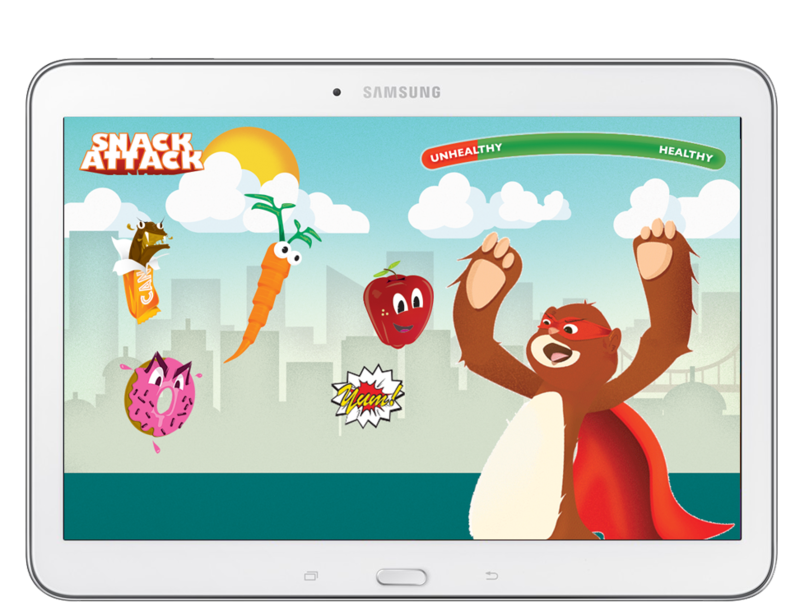 Snack Attack is a game we designed and illustrated in-house to provide a fun and exciting way for kids to learn about healthy snacking. 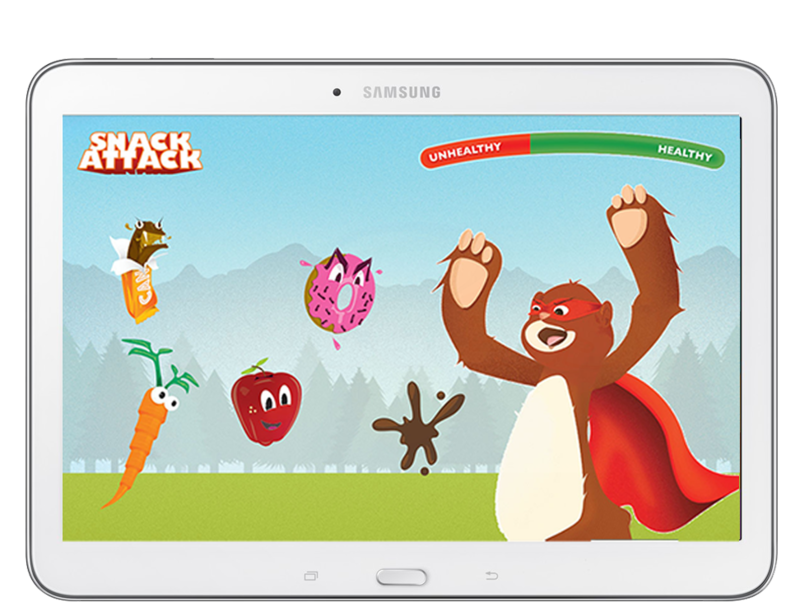 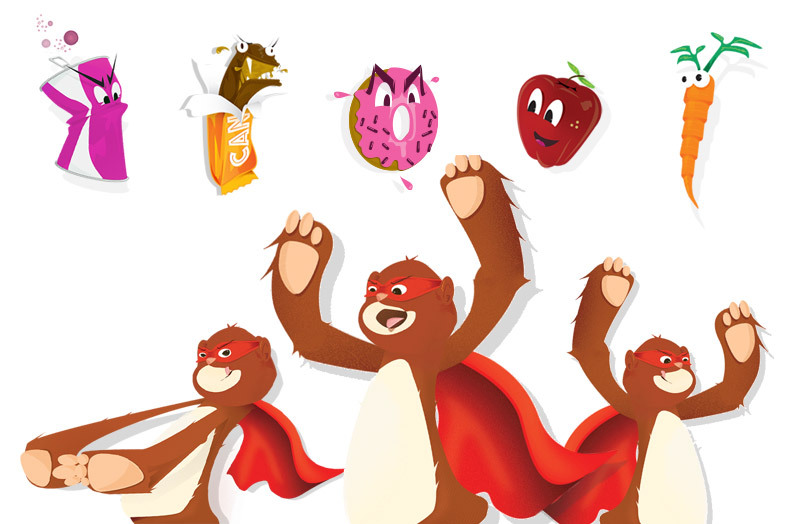 Developed for Android tablets that will be displayed at public events, the game allows kids to help the caped hero Smash Bear literally “smash” (through touch gestures) junk foods and healthier snacks like apples and carrots. 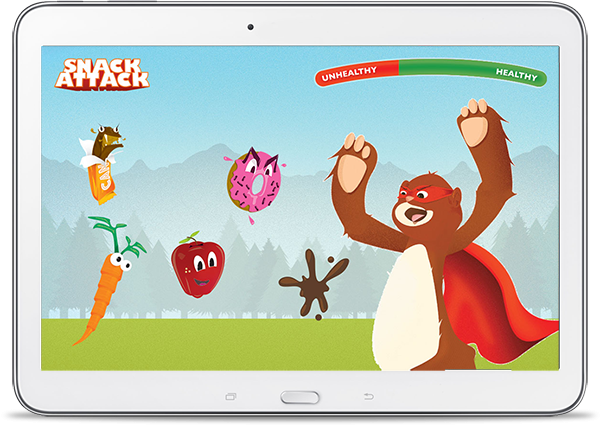 Positive and negative choices impact the character’s Health Meter onscreen and will decide whether the player is allowed to advance to the next level or restart the game entirely. 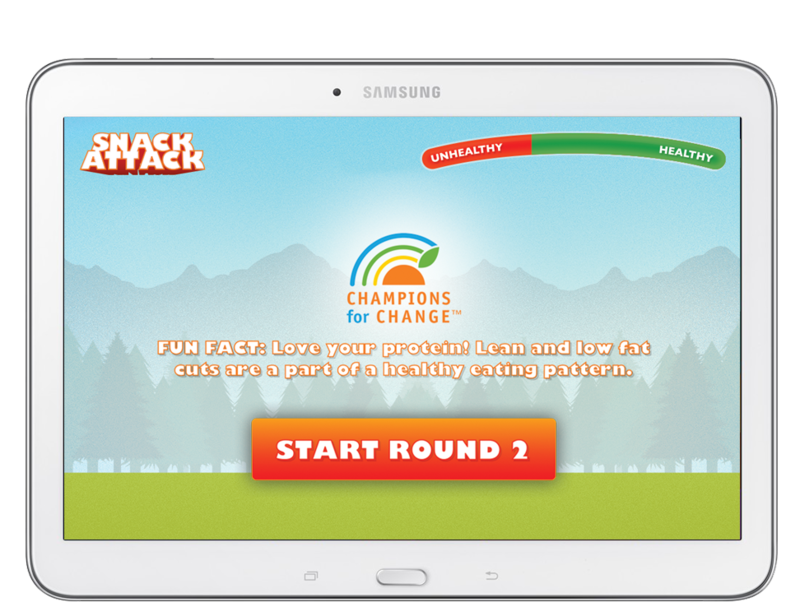 Throughout the game, the player is provided short onscreen tips for healthier eating as they move through three distinct levels including a forest, a city and a beach. 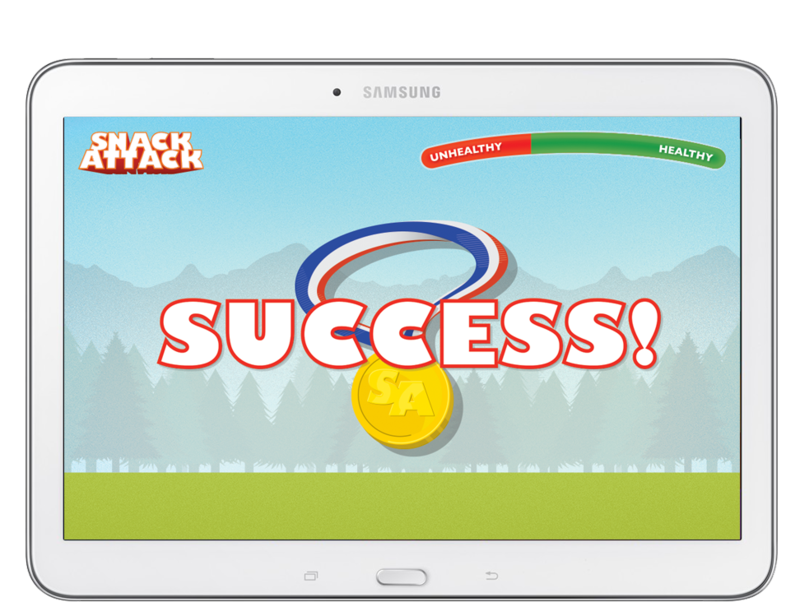 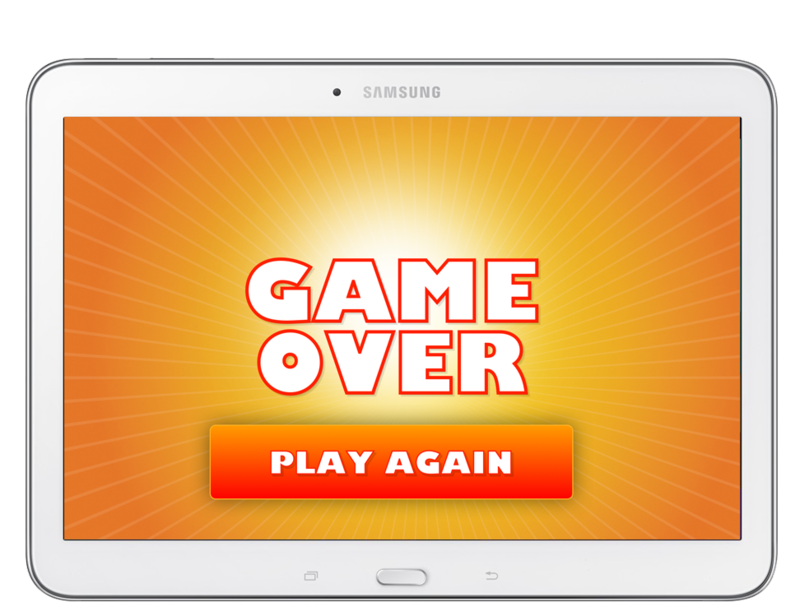 We call it “learning gamification” and it will be available on Android tablets at family-centered events throughout the region.